In a 2005 interview, George Lucas was asked the origins of the name “Darth Vader”, and replied: “Darth is a variation of dark. And Vader is a variation of father. So it’s basically Dark Father.” (Rolling Stone, June 2, 2005). “Vader” is the Dutch word for “father” (the Dutch word is instead pronounced “fah-der”), and the German word for “father” (Vater) is similar. Anyhow, I couldn’t quickly find out how far back this goes in France, but it seems to be a fairly established thing. (E.g., Dark Vador) It’s strange partly because “dark” doesn’t mean “dark” in French, so I’m not sure what you gain by the change. (Maybe “darth” sounds like something else?) “Vador” I can see, as it’s more phonetic. C3PO’s name was apparently clumsy to pronounce in French and thus altered as well. Then I assumed this must also happen in other languages (kind of the way dogs’ barks sound different depending on where the dogs live – “How Dogs Bark In Different Languages”). And indeed, I found one reference to him being called “Lord Fener” in Italy: “Why is Darth Vader called Lord Fener in Italy”. My guess is this is covered extensively somewhere, but if not, perhaps it would be an interesting topic. Was this done from the beginning? Were other adjustments made around the world? Would “Lord Fener” have terrified me the same way Vader did when I was seven? This entry was posted in Reference Director! and tagged Darth Vader, Star Wars, Will R. by Mike Glyer. Bookmark the permalink. I do not think the Th sound is a french phoneme. So it is natural to avoid it rather than risk mispronouncing it. Some folks on Word Reference pointed out that “Vader” looks like a form of the verb “to go”. I’ll point out that “Dard” means “stinger” and since you don’t pronounce the last letter, “darth” or “dart” would sound the same. “Dark Vador” looks alien. “Stinger to go” might have sounded comical. I confirm it was “Dark Vador” in France for as long as I can remember, but I am to young for the original release of the first movies. Neither “Dark” nor “Darth” mean anything in french, but “dark” is common enough both in the english language and in fiction that most French will understand it, even if they speak very little english. It is most likely a phonetic stuff. A miguided French might pronounce “Darth Vader” as “Darf Vadé”, which is not terrifying in any language spoken in this galaxy. Actually, “Dark Vador” in french is close enough to the english “Darth Vader” that it took me a while to notice the name have been changed from the original english. I had a similar issue with “Sherlock Holmes”. When I was a kid, there were two characters: the “Sherlock Holmes” I heard about, with a pronunciation fairly respectful to the original, and the “Sherlock Holmes” I read about which I wanted to pronounce something as “Chairlock Allmess”. It took me the help of my amused parents to do the consolidation. “Vader” is not french, and it didn’t evoke me spontanuously “aller”. The stinger you think about is spelled “dard” (like a sword you might have heard about 🙂 ), and you shouldn’t pronounce the final “d” anyway. With “Darth”, I will either pronounce the “th” as a “t” if I have really no clue abouth english, or try to do something with it you might, or you might not recognize as a “th”. 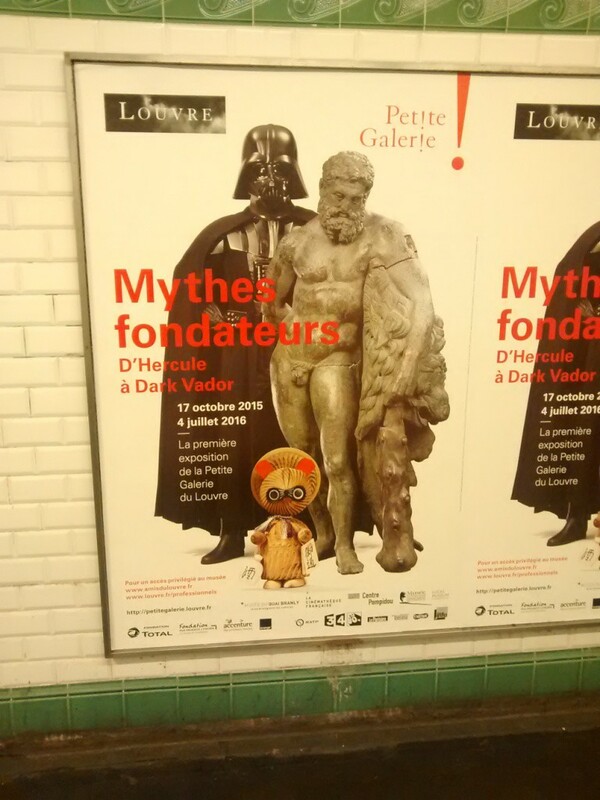 Darth Vader really doesn’t evoke me much as a french speaker, although it might look a bit daunting to pronounce. @Vivien Grin. I didn’t even think of that. Translators worry about lots of obscure things. I could see that if you thought even 10% of people would call the guy “Prick Vader” you’d choose a different word. I found a couple of French discussions on the matter. This one is probably the best. The author thinks it was a shame they went with “Dark” since it’s so blatant. But some of the comments have clever ways to misinterpret the original in French. Finally, yeah, I know that “to go” is aller in modern French, but I think the point was that to a French or Italian speaker, Vader looks like “to go” in some romance language. This is cute: In Italy, the original triology used one set of names while the second trilogy used a different set. When it came to the last episode of the original trilogy, the translator took a vote of the fans as to whether to stick with “Dart Fenner” (used in the original trilogy) or to go with “Darth Vader” (the prequels largely used English spellings). With 55.6% of the vote, they opted for Dart Fenner. My favorite is “Tarte Vador” which translate as “Pie Vador” or “Silly Vador”. Finally, I note that for Spanish they used the English names without much change, except for Jabba el Hut. I assumed ‘vader’ was from ‘invader’ hence Darth Sidious from ‘insidious’ – doesn’t work for Darth Maul mind you. I can recall speculating (way back when) that “Darth Vader” might be meant to suggest “dark father” and that he might turn out to be Luke’s father. I was fairly ordinary provincial kid without much knowledge of languages, so I probably wasn’t the only one to have that possibility cross his mind. “Vader” does look a bit like an infinitive verb, and as Vivien points out, is thus likely to be pronounced like one: “va-day”. I’m surprised they went with -or for the ending instead of -eur, but I guess -or looks more evil. ETA @Terry, it’s funny, I study French SF and I’ve met so many people who think “Jools Vurn” was American until I tell them different. The little guy is a tanuki? I didn’t recognize him, since his most… distinguishing features aren’t hanging out. I guess even the French don’t allow that on their subway advertisements — although the marble guy’s got his! Interesting note…if you put a page with “Dart Fener” on it through Google Translate, it correctly turns it into “Darth Vader”!